Free Quotes For All Your Roofing And Guttering. UPVC Fascias And Soffits installed. The Roofing And Guttering specialists based in Morden South London / Surrey.With over 25 years experience in all types of roofing.Roof repairs ,new roofs ,flat roofs in torch on felt or grp fibreglass.Upvc guttering ,fascias and soffits installed and maintained.Call now for your free quote. 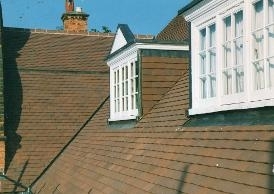 Free Quotes on all your roofing and guttering work.